- Van Zwarte Beertjes,Tv serie, Films. De Saint speelt in een aantal films de hoofdrol, te beginnen in 1938. RKO Radio Pictures-USA, 69 minutes, 6273 feet. 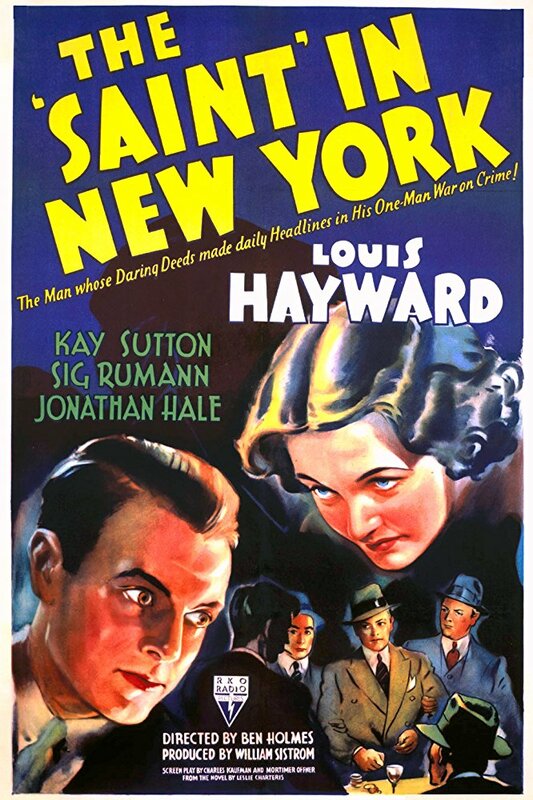 Adapted from the Leslie Charteris novel The Saint in New York (15-B27, 1935). Directed by Ben Holme. Produced by William Sistrom. Screenplay by Charles Kaufman and Mortimer Offner. 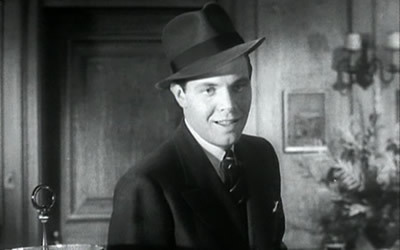 Starring Louis Hayward as Simon Templar, Kay Sutton as Fay Edwards, Sig Rumann as Hutch Rellin, Jonathan Hale as Inspector Fernack, and Jack Carson as Red Jenks. RKO Radio Pictures-USA, 64 minutes, 5799 feet. 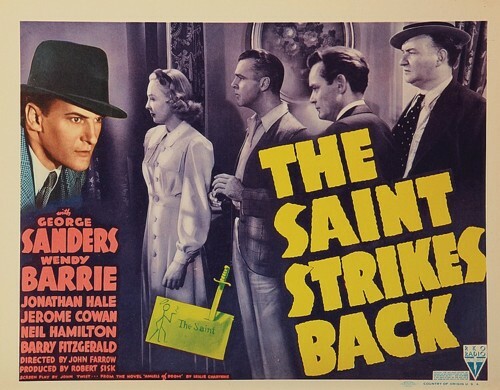 Adapted from the Leslie Charteris novel The Saint Meets His Match (7-B36, 1931). Directed by John Farrow. Produced by Robert Sisk. Screenplay by John Twist. 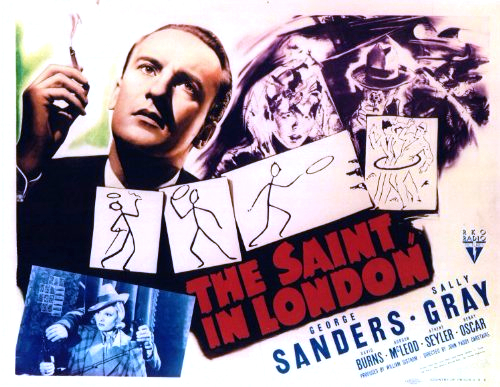 Starring George Sanders as Simon Templar, Wendy Barrie as Val Travers, and Jonathan Hale as Inspector Fernack. RKO Radio Pictures-USA, Elstree-UK, 73 minutes, 6909 feet. 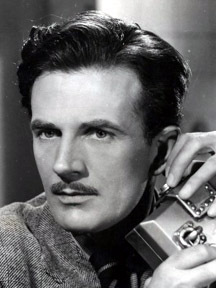 Adapted from the Leslie Charteris short story The Million Pound Day from The Saint versus Scotland Yard (8-B13, 1932). Directed by John Paddy Carstairs. Produced by William Sistrom. Screenplay by Lynn Root and Frank Fenton. 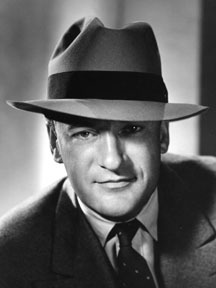 Starring George Sanders as Simon Templar, Sally Gray as Penny Parker, David Burns as Dugan, and Gordon McLeod as Inspector Teal. RKO Radio Pictures-USA, 67 minutes, 6062 feet. An original story not used in any book, Charteris didn't particularly like the film. Directed by Jack Hiveley. Produced by Cliff Reid. Screenplay by Leslie Charteris and Ben Holmes. 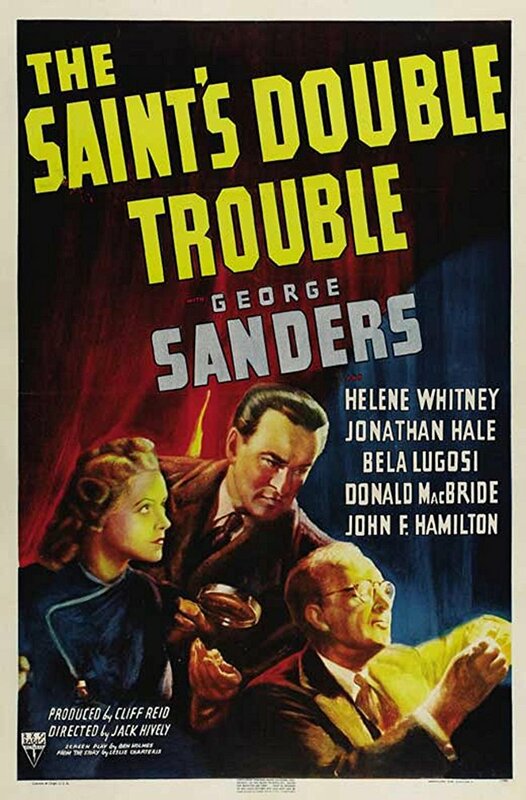 Starring George Sanders as Simon Templar, Helene Whitney as Anne Bitts, Jonathan Hale as Inspector Fernack, and Bela Lugosi as Partner. RKO Radio Pictures-USA, 69 minutes, 6225 feet. Leslie Charteris had nothing to do with the storyline for this film. Directed by Jack Hiveley. Produced by Howard Benedict. Screenplay by Lynn Root and Frank Fenton. Starring George Sanders as Simon Templar, Wendy Barrie as Ruth, Jonathan Hale as Inspector Fernack, and Paul Guilfoyle as Pearly Gates. RKO Radio Pictures-USA, 66 minutes, 5964 feet. 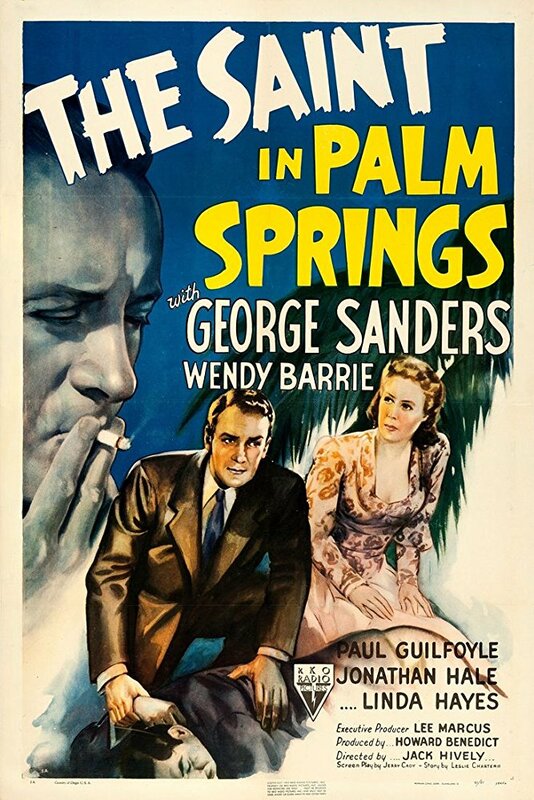 Palm Springs is based on an orginal story by Leslie Charteris, but the plot was so changed that the final version of the movie hasn't any of Charteris' plot intact. The photoplay that appeared in the May 19, 1941 issue of Life magazine, and the subsequent short story were written afterward, and are completely different than the movie or the orginal plot outline. Later adapted into a short story by Leslie Charteris as Palm Springs from The Saint Goes West (23-B24, 1942). Directed by Jack Hiveley. Produced by Howard Benedict. Screenplay by Leslie Charteris and Jerry Cady. 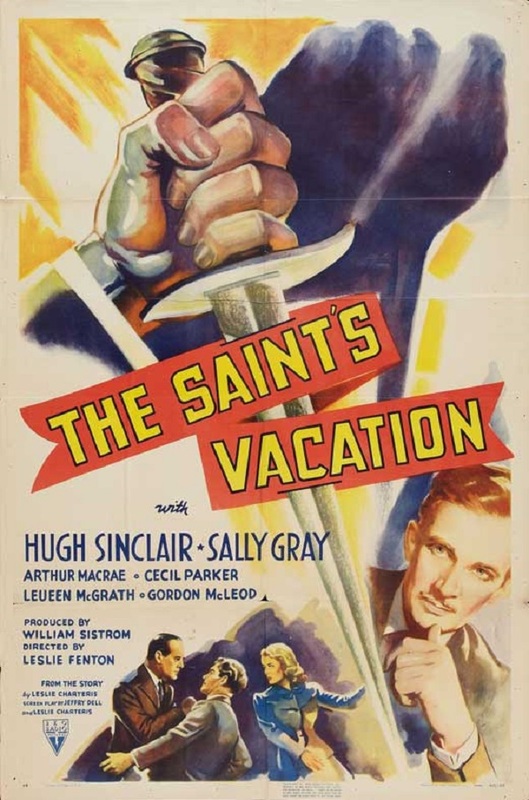 Starring George Sanders as Simon Templar, Wendy Barrie as Elna Johnson, Paul Guilfoyle as Pearly Gates, and Jonathan Hale as Inspector Fernack. RKO Radio Pictures-UK, 78 minutes, 7059 feet. 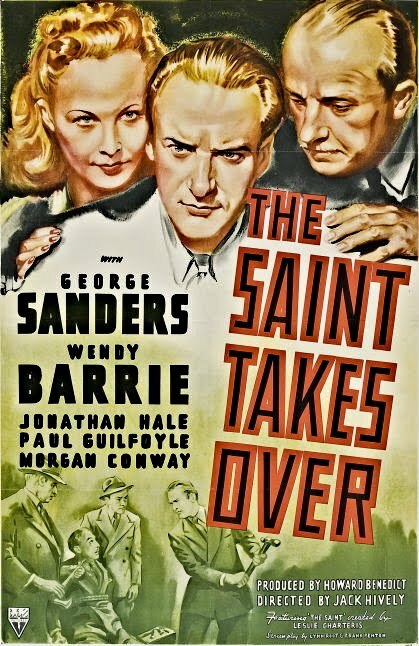 Adapted from the Leslie Charteris novel The Saint's Getaway (9-B11, 1932). Directed by Leslie Fenton. Produced by William Sistrom. Screenplay by Leslie Charteris and Jeffry Dell. Starring Hugh Sinclair as Simon Templar, Sally Gray as Mary Langdon, Arthur MacRae as Monty Hayward, and Gordon McLeod as Inspector Teal. Republic Pictures-USA, RKO Radio Pictures-UK, 79 minutes, 7068 feet. This movie was produced in 1941 by RKO Radio British Productions, but turned over to Republic for distribution. 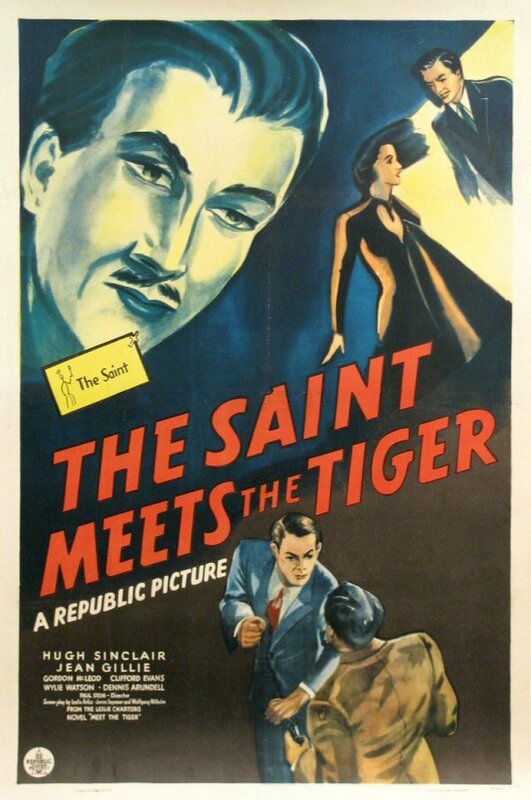 Adapted from the Leslie Charteris novel The Saint Meets The Tiger (1-B17, 1928). Directed by Paul Stein. Produced by William Sistrom. Screenplay by Leslie Arliss and Wolfgang Wilhelm. Starring Hugh Sinclair as Simon Templar, Clifford Evans as Sidmarsh, Jean Gillie as Patrica Holmes, and Gordon McLeod as Inspector Teal. RKO Radio Pictures-USA, 68 minutes, 6132 feet. 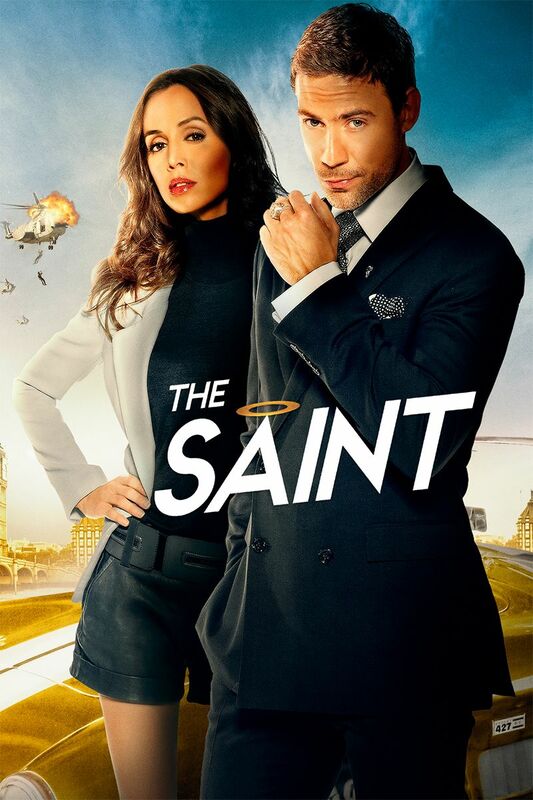 Royal Productions Exclusive Films-UK (The Saint's Return), 73 minutes, 6583 feet. Directed by Seymour Friedmann. Produced by Julian Lesser and Anthony Hinds. Screenplay by Allan MacKennon. 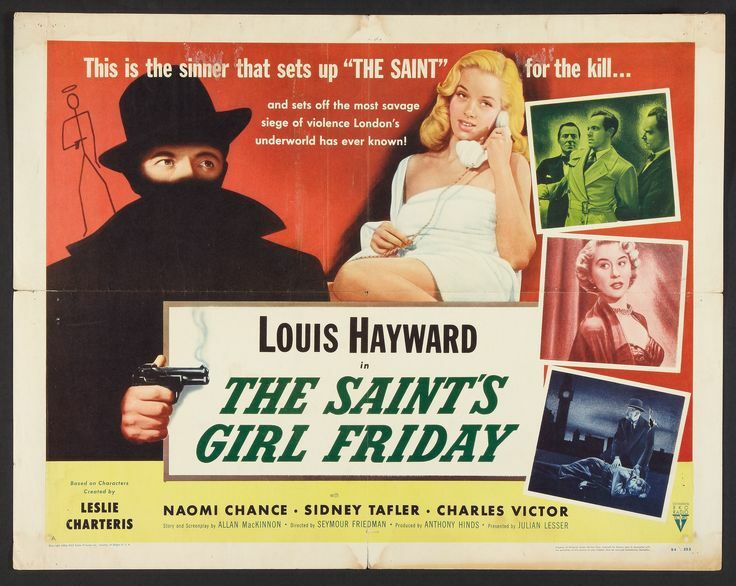 Starring Louis Hayward as Simon Templar, Naomi Chance as Carol Denby, Sidney Taffler as Max Lennar, Diana Dors as Margie, Russell Enoch as Keith Merton, and Charles Victor as Chief Inspector Teal. ITC Television, Approx. 105 minutes, 9503 feet. 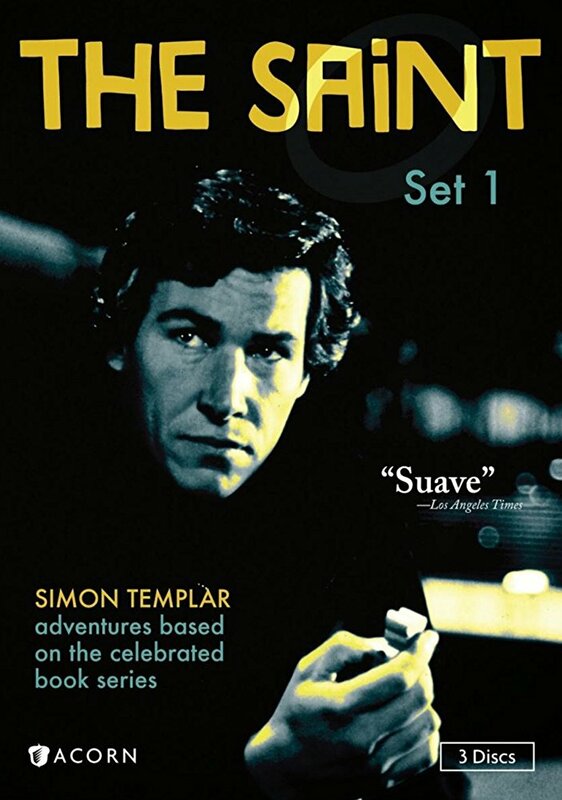 Rewritten as a novel by Fleming Lee as The Saint and the Fiction-Makers (40-BX, 1968). Directed by Roy Baker. Produced by Robert S. Baker. Screenplay by John Kruse and Harry W. Junkin. Starring Roger Moore as Simon Templar, Sylvia Syms as Amos Klein, Justine Lord as Galaxy Rose, and Kenneth J. Warren as Warlock. ITC Television, Approx. 90 minutes, 8145 feet. 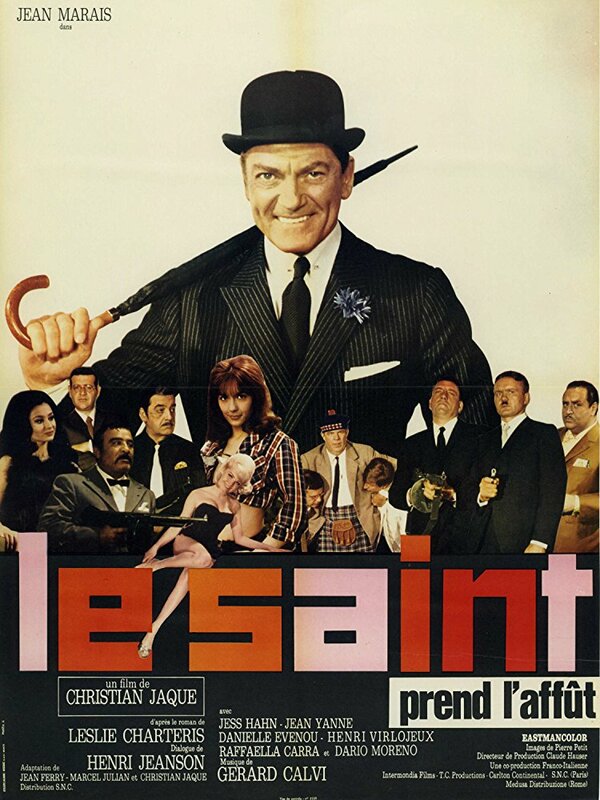 Based on the Leslie Charteris novel Vendetta for The Saint (37-B41, 1964). Directed by Jim O'Connolly. Produced by Robert S. Baker. Screenplay by Harry W. Junkin. Starring: Roger Moore as Simon Templar, Ian Hendry as Allessandro Destamio, Rosemary Dexter as Gina Destamio, and Aimi Macdonald as Lilly. ITC Television, Approx. 90 minutes, 8145 feet. The original working title was Vanishing Point. First shown on television in two parts as Collision Course: The Brave Goose, and Collision Course: The Sixth Man. Novelized by Peter Bloxsom as Salvage for The Saint (50-BX, 1983). Directed by Cyril Frankel. Produced by Robert S. Baker. Screenplay by John Kruse. Starring: Ian Ogilvy as Simon Templar, Gayle Hunnicutt as Annabel, Stratford Johns as George Duchamps, and Derren Nesbitt as Inspector Lebec. Shown as a TV movie in many counties, possibily shown in theatres in some. Simon Templar returns to New York via Concorde and is feeling restless, until a note from an old flame surfaces. Starring Andrew Clarke, George Rose, Kevin Tighe. 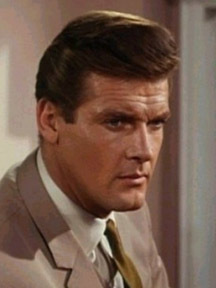 Sleuth Simon Templar ties a London baby's kidnapping to a black-market baby ring based in Brazil. Starring: Simon Dutton, Gayle Hunnicutt, David Ryall. 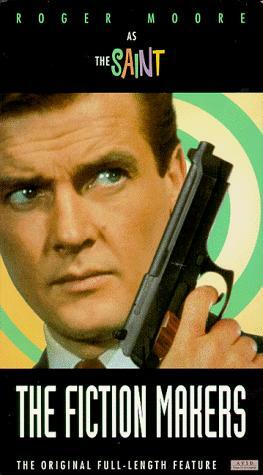 Simon Templar's Berlin weekend with a girlfriend includes a spy, a terrorist and missiles for sale. Starring: Simon Dutton, Günther Maria Halmer, Arielle Dombasle. Simon Templar solves a case of slain scientists with a Russian-American beauty and her computer. Simon Templar and a newswoman track down the front man for a deadly corporate takeover. Starring: Simon Dutton,Morgan Brittany, Jerry Di Giacomo. 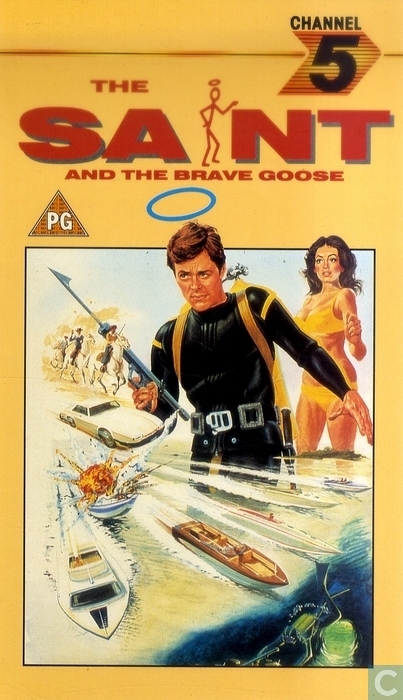 Simon Templar thwarts a Hong Kong syndicate's takeover of a businessman's Australian fun park. 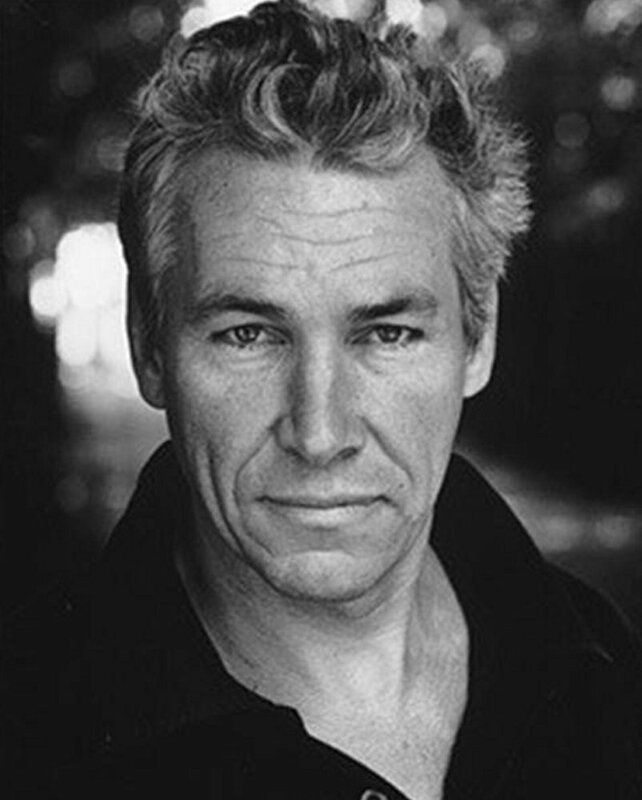 Starring: Simon Dutton, Rebecca Gilling, Ed Devereaux. 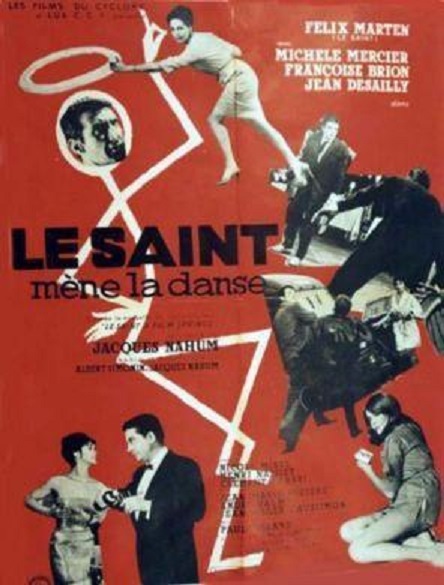 Simon Templar uses twin sisters and a rare Russian necklace to trap a ruthless American in Paris. Starring: Simon Dutton, John Astin, Sabine Naud. Paramount Pictures, USA. Directed by Philip Noyce. Produced by Robert Evans, William Macdonald, Mace Neufeld, and David Brown. 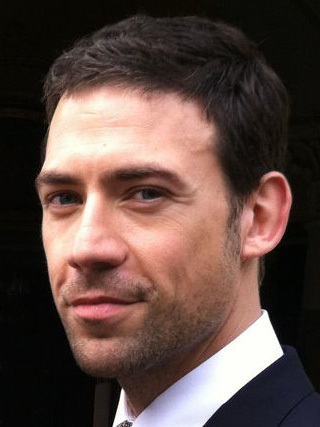 Executive Producers are Robert S. Baker and Paul Hitchcock. Screenplay by Wesley Strick. 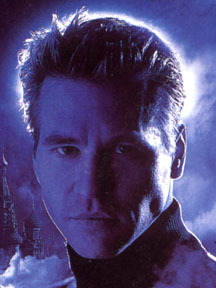 Val Kilmer stars as Simon Templar, alias The Saint. Elisabeth Shue stars as the leading lady. 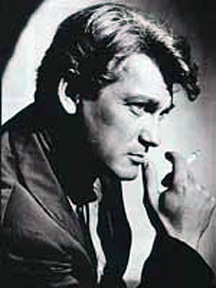 Other cast members include Valery Nikolaev, Rade Serbedzija, and Evgueni Lazarev. 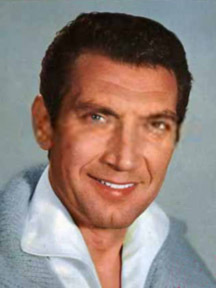 Internationale dief Simon Templar, ook wel bekend als The Saint, wordt door een wanhopige rijke man gevraagd om zijn dochter Zooey te vinden die ontvoerd is. De Nigeriaanse president Ezekiel Ibaka krijgt 2,5 miljard dollar hulp voor zijn land, maar een mysterieuze man (Ian Ogilvy) heeft dit geld gestolen. 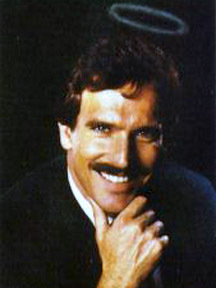 Echter, naast het ontwijken van de autoriteiten, moet Simon een gevaarlijke tegenstander uit zijn verleden, Arnie Valecross, onder ogen zien. 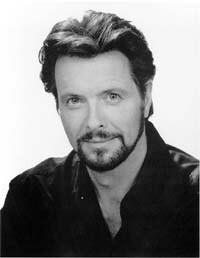 De volgende acteurs zijn in de huid van Simon Templar gekropen: Louis Hayward, George Sanders, Hugh Sinclair, Felix Marten, Jean Marais, Roger Moore, Ian Ogilvy, Val Kilmer, Amdrew Clarke, Simon Dutton en Adam Rayner. About this site. Dit is een verzamelsite over jeugdpockets. En GEEN verkoop site, als ik iets verkoop doe ik dat op Marktplaats of op een andere Verkoop site. Op deze site bied ik boeken te koop aan.